The British Dental Health Organisation advocates electric toothbrushes for children, stating that they are better than manual brushes. While adult electric toothbrushes are not suitable for young children below the age of three, manufacturers design their toothbrushes for particular age groups to ensure optimal cleaning and oral care. It is essential to purchase an electric toothbrush that has been especially adapted for a child. That means softer bristles and easier-to-grip handles, amongst other features. We include a couple of electric toothbrush recommendations in our post on the best baby toothbrush. 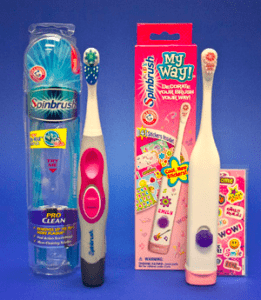 In our best electric toothbrush for kids article we take a look at electric toothbrushes suitable for kids from ages 3 and up. Some dentists have warned that using an electric toothbrush too early stops children from developing the motor skills necessary for manual brushing. 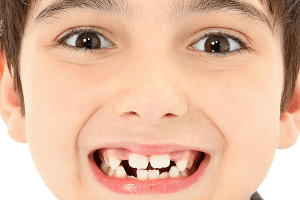 However, opinions are divided as many dental organisations feel that the features that come with the latest models provide a novelty value that encourages the child to brush with enthusiasm. 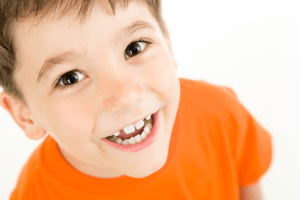 Coupled with the proven benefits of using an electric brush — such as reducing the risk of tooth decay in young children — it’s hard to ignore the advantages posed by introducing these brightly-coloured appliances into your child’s health care regime. We recommend that you consult with your dental hygienist before purchasing an electric toothbrush for your child. Whether you choose to use an electric or manual toothbrush, it is recommended that you supervise your child’s brushing technique until the age of seven. 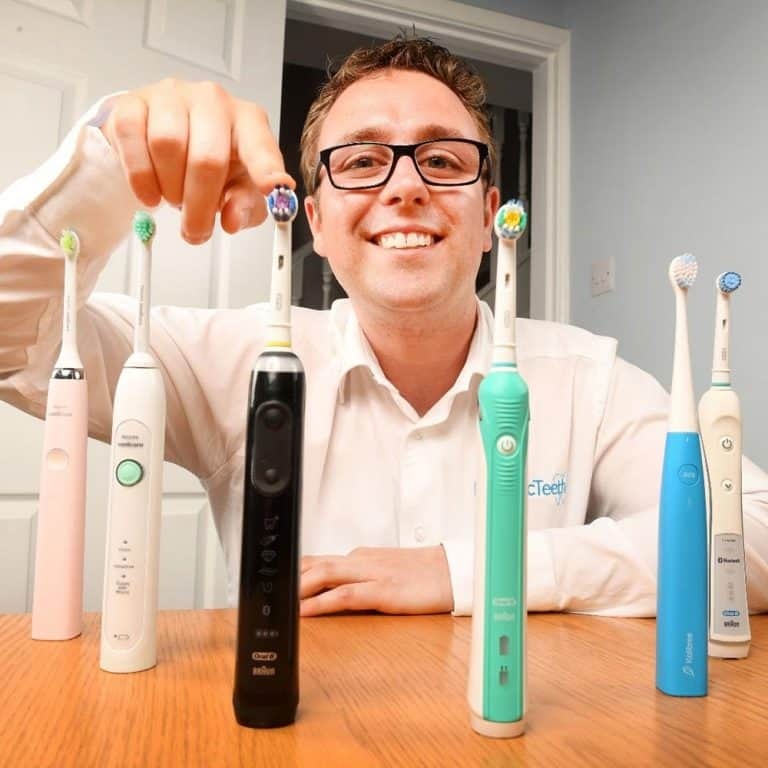 This article examines the advantages of using an electric toothbrush as opposed to a manual brush for children over the age of three. 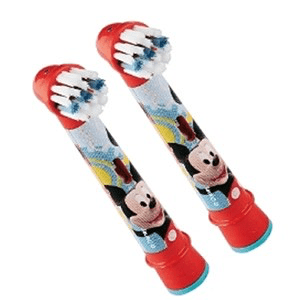 If you need help choosing a toothbrush with a design or feature that suits the needs of your little one, click here. One concern that you may have is whether or not the vibrations may aggravate loose teeth. 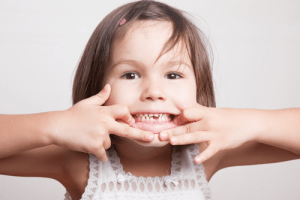 Most children starts loosing teeth between five and seven, but some teeth can become a bit wobbly in children as young as four. Because this process of losing teeth spans as much as three years, it is not worth avoiding an electric toothbrush. In fact, it is quite natural to rely on normal, gentle brushing to help free a wobbly tooth. While we don’t advise that you use an electric toothbrush to free a tooth, children’s electric toothbrushes are gentle enough to accommodate the changing arena of their mouths. The risk of choking is equal in both manual and electric brushes, which is why it is recommended that parents supervise children’s brushing until they reach the age of seven. Spinbrush, however, has come into fire recently following reports of injuries occurred during the use of their products. The FDA warned that the electric products – marketed as Spinbrush or Arm & Hammer – could potentially cause face and mouth injuries. Following the FDA’s warning letter to Church & Dwight Co, Spinbrush added a colour-wear feature to newly manufactured brushes so that customers are reminded to change brushes after 3 months of usage. Other brands such as Oral-B and Philips have not experienced any such media attention for faulty products, but it is prudent to follow the guidelines issued by regulating bodies and manufacturers for ultimate safety. As with anything electrical you would hand over to your child, it’s a good idea to examine the product regularly to preserve the child’s safety. Some parents resist purchasing an electric toothbrush for their children, fearing there is a higher incidence of gum damage in electric brush users due to the abrasive qualities of the high-powered bristles. Parents have registered concerns about tooth abrasion, gingival injuries, and gum recession caused by power brushes. Studies have proved the opposite. The electrical brushes vibrate, oscillate or rotate with such effectiveness at removing plaque that considerably less force need be applied. In fact, there is a danger of manual brush users scrubbing that bit harder to achieve that clean feeling. No damage was recorded using Braun or Sonicare products in a recent study. The study aimed to find out the difference between manual and electric brushes. “The findings from these studies suggest that power toothbrushes are less likely to cause dental and gingival abrasion,” (www.rdhmag.com). Some electric brushes even have a built-in sensor to warn the user that too much pressure is being exerted. Beside this, the electric toothbrushes have been designed in such a way to avoid injury. The soft bristles should not cause any damage to teeth or gums. It has been proven that electric toothbrushes help children to clean those hard-to-reach areas, such as the back molars and gums. This prevents a build-up of plaque, which is extremely important for optimal oral health. In a time when one in three children are suffering from tooth decay, this protection is essential. Child-friendly power brushes offer a whole host of features that encourage children to enjoy brushing their teeth. The appliances are designed to appeal visually, and they provide a sensory stimulating experience for the child that is proven to increase their enjoyment of dental maintenance. Electric toothbrushes entertain and educate children simultaneously, teaching them to maintain good oral care habits from an early age. Oral-B notes that their electric toothbrushes have kids brushing up to 90% longer. The timers on modern brushes allow children to develop an understanding of how much time they should be spending on each quadrant of the mouth for optimal cleaning. Flashing disco lights, for example, are a fun reminder to keep brushing for the requisite 2-minute session. Parents have reported that the bells and whistles that come with the electric modelsdo help the child to focus, and even enjoy, daily brushing. The bright lights and musical functions serve an important purpose – training children about optimal oral care. They learn exactly how much time should be spent and how much pressure should be exerted. One parent on mumsnet commented that her child enjoyed his new electric toothbrush so much that he forgot his previous game: enthusiastically biting the manual one. Although it can be costly to replace heads, it is worth investing in a rechargeable toothbrush rather than a battery-operated one. Toothbrushes with batteries loose their effectiveness as the charge runs out, which in turn compromises the thoroughness of the cleaning. With a range of toothbrushes available, parents should be able to select a model that they think will best suit their child. No matter what brush you opt for, the brush will have some special feature designed to capture a child’s attention. It might be a musical handle, a character from their favourite movie or a sticker pack. Aim to generate some excitement over the new brush. The brush shouldn’t be viewed as a toy, but as a special treat they can enjoy twice a day. Remember to check if you are eligible for any online freebies with the purchase of a kids’ electric brush. Some children are confused by the brush at first. The vibrations can seem foreign to them, so begin by holding the back of the brush head to their arm in a playful manner. If they don’t seem deterred, allow the child to hold the brush. Eventually, you can work up to holding the brush to their teeth. Coach the child on how to hold the brush. If you have an electric brush, encourage your child to watch how you use it. You should make it clear that using an electric brush is a privileged, grown-up thing to do. 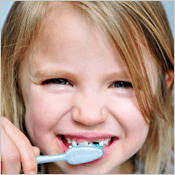 Experts suggest that it is prudent to monitor your child’s brushing until they reach the age of seven. Teach your child how to gently clean their teeth and gums by applying light force.